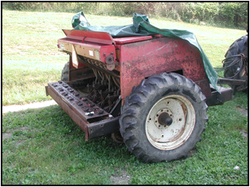 The Athens SWCD rents out a variety of field equipment to landowners in Athens County, Ohio. There is a $25.00 minimum charge for the use of each item. To schedule a time to use these products contact Rich Blazier, District Equipment Manager at 740-818-5282. 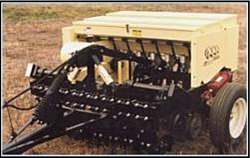 Our office has soil probes and dibble bars that can be borrowed for up to 5 days. There is a $50.00 refundable deposit for each item. The items must be returned clean and in good shape to recieve your deposit back. - Geotextile Filter Fabric (12.5 ft) - $1.30/L.F.